Dempsey; O'Connor, Byrne, Mullen, Maher; Doyle, Hunt, O'Hanlon, Mooney; Swan, Lawlor. Wood; McGuinness, Lynch, Hawkins; Doyle, Gormley, Osam, Russell, Croly; Molloy, Gilzean. Subs: Reilly for Gilzean (61 mins), Campbell for Russell (70 mins). 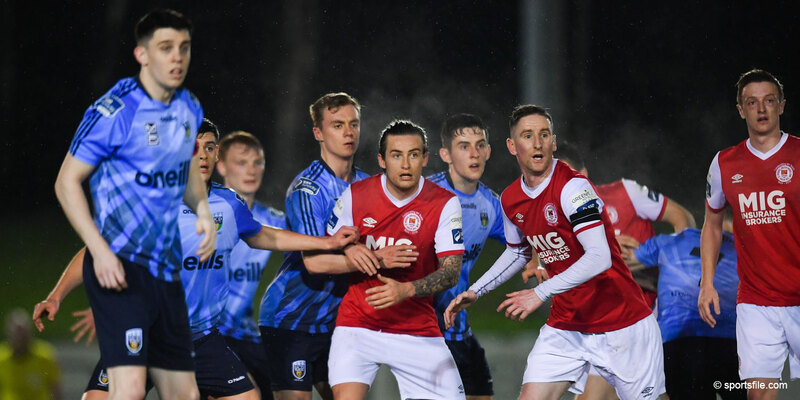 In a tight contest between these two Dublin sides the draw will come as a bonus to Bohemians but the Supersaints will see it as two points on the leaders Cork City. In front of a poor attendance, both sides found it difficult to deal with the slippery surface and poor weather, but RTE can be happy with the exciting display given by both sides. Bohemians dominated the first 15 minutes with Croly twice coming to the rescue to clear off his goal line. Both chances fell to Maher, the second produced an acrobatic headed clearance from Croly after the ball had looped over the diving Wood. St Patrick's didn't produce anything until the 20th minute when they won their first corner. From then they slowly crept into the game and the travelling Supersaints will be wondering how Martin Russell failed to head home a perfect ball from Eddie Gormley after 25 minutes. Gormley who was back from a three match suspension was involved in the opening goal after 35 minutes. A corner swung in by Molloy found Gormley at the back post whose shot was deflected into the path of Hawkins and his shot cannoned off two Bohs' defenders before finding the back of the net. 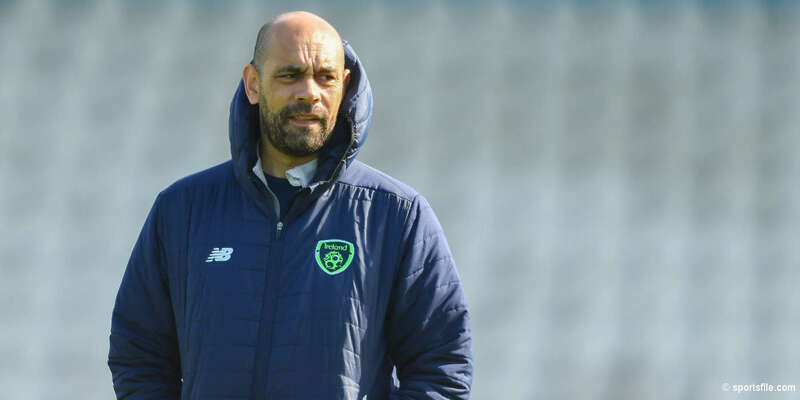 St Patrick's have Trevor Wood to thank for their half time lead, as he produced a wonderful finger-tip save from Lawlor, and then minutes later he had to be alert to tip over a looping header from the same striker. 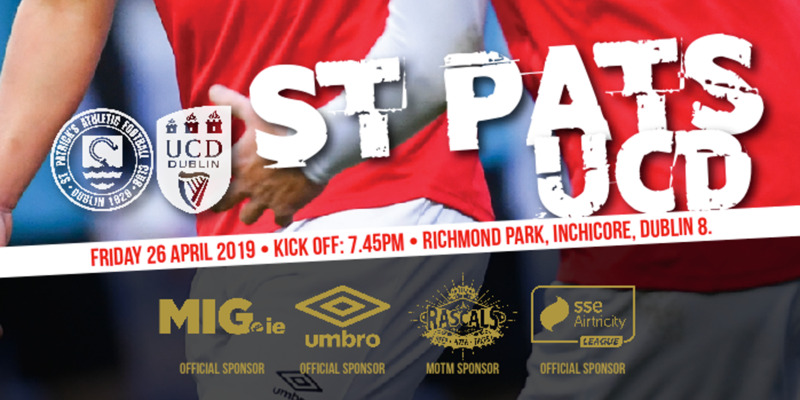 In a scrapy second half, St Patrick's were unlucky not to increase their lead when a Martin Russell free from 25 yards went just over Dempsey's bar. However, only minutes later O'Hanlon found Byrne who was given space to run at the St Patrick's defence and his powerful shot deceived Wood, whose block could only help the ball into the back of the net. It was a deserved equiliser for Bohs who had controlled most the midfield play for the majority of the game, and their defensive tactics worked well to keep Gilzean and Molloy at bay. It was St Patrick's who finished the stronger with a great chance falling for Martin Reilly, but his header just went over the bar from a Gormley free. St Patrick's will be rueing their missed chances as again they hope that Cork slip up this weekend.